For most parents waking up in the morning to the constant barrage of your child’s many request’s for the coming day is a given. But for Sue Perry she was grateful just to wake up every morning and find Tom still alive! On the 7th December 1993 Tom was born a perfectly healthy, beautiful baby boy. For 5 months he developed in the same way as any other baby. Then one spring evening when I was alone in the house Tom had a massive seizure lasting for 40 minutes. I had no idea what to do as I had never seen a seizure. So I laid Tom on the bed and in a complete panic called my husband who was watching our daughter perform at a school concert and then the on-call GP who arrived at our house and when he realised how seriously ill Tom was and that he couldn’t stop the seizure, he called for an ambulance. Tom remained in hospital unconscious for 9 hours having ongoing tests including a lumbar puncture to test for meningitis. and after all of the tests drew a blank and there was no signs of an infection or anything medically abnormal other than a single prolonged seizure. The doctors came to conclusion it was a febrile convulsion and packed us back off home. Little did we know that this was just the start of a very long journey. After Tom’s initial seizure, he started to have regular seizures every few weeks and was put on anti-epileptic medication to try and control them (and to an extent it did). Tom continued to develop normally and we learnt how to deal with his seizures and assumed it would be something that he eventually grew out of and he would go on to live a perfectly normal life like our two older children. 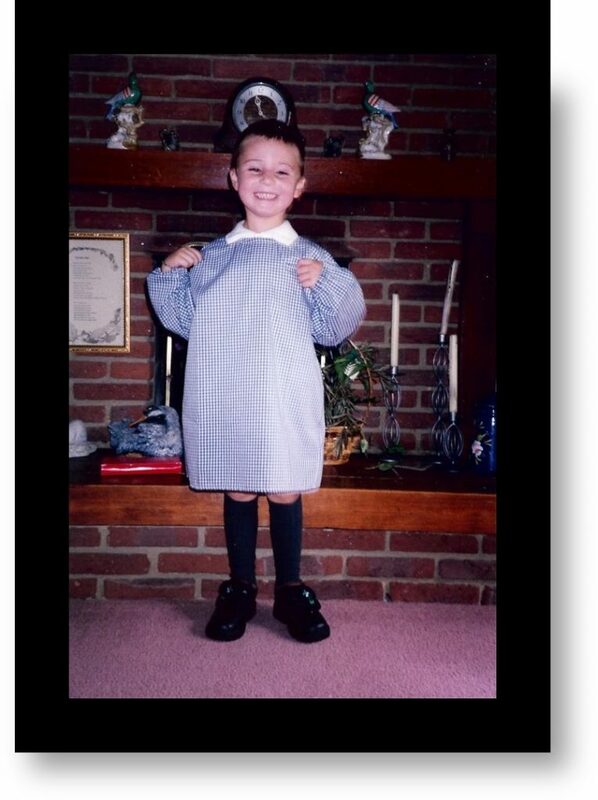 In the September before his 5th birthday, Tom went on to start mainstream primary school. He was doing well for the first year and was progressing as an average student who had the occasional seizure and severe nut and egg allergies. For the next 2 years we went through a nightmare time while his consultant at Guys Hospital tried to get his epilepsy under control. We discovered that Tom was, and still is very sensitive to medication changes. Each new medication would either not work at all, would work for a short period of time and then stop having any effect, or would make his seizures worse. We would regularly do emergency dashes up to Guys Hospital after he had approximately 24 Tonic Clonic seizures in a short space of time, usually between 7pm (just after he went to bed) until just before midnight. I would stay in hospital with him, usually for several weeks at a time while they tried to stabilise him and stop his seizures and my husband would come to the hospital each day after work, it was the most dreadful time. My other 2 children were thankfully older, my son Chris was 15 and my daughter Kate 17, unfortunately Tom had to be our main focus, which was hard on them. This pattern of events went on for the next 2 years until eventually Tom was under reasonable control with a maximum of 7 seizures a night and taking 7 different medications. 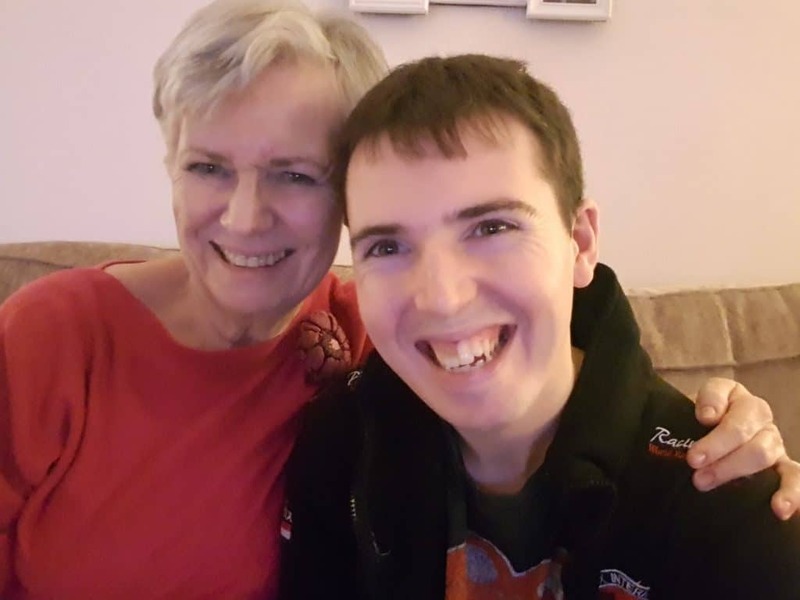 It was then suggested to us by our consultant Elaine Hughes that Tom may benefit from having a VNS (vagal nerve stimulator) implanted, and to date this has been the most successful treatment for reducing his seizure activity and the amount of medication he is on. Unfortunately by the time he was ready to go back to school he had regressed and developed serious learning difficulties and behavioural problems, so mainstream school was no longer a suitable option for him. Tom was given a place at Bower Grove Special needs School local to our home. He happily stayed at Bower Grove until he was 14 making lots of friends in the pupils and teaching staff. We became so engaged with the wonderful work that the school did for local families with special needs, that my husband Adrian went on to become the Chair of the Board of Governors at the school and continued on in this role even after Tom had left. in 2009 It was suggested to us by an educational psychologist that Bower Grove could no longer meet Tom’s challenging needs (really meaning his challenging behaviour) and it would be in his best interests to go to residential school. Tom had also just recently been diagnosed with Dravet Syndrome and it was suggested to us that a school that specialised in epilepsy would be the best route for him. we didn’t want anyone else looking after our little boy, or have to entrust anyone else to look after him particularly as we had recently learnt that Dravet Syndrome comes with an increased risk of SUDEP and Tom’s seizures were predominantly nocturnal. But dispite our fears, we made what we hoped was the best descision to help Tom thrive and chose to send him to Young Epilepsy. During his time at Young Epilepsy Tom’s seizure pattern changed and he started to have Tonic (silent) seizures which were very hard to detect. One morning after watching his video monitor footage back when Tom was on a weekend break at home, we realised that we had missed a prolonged seizure where Tom was face down in his pillow and made no movement or sound. Dravet is a rare form of catastrophic epilepsy. At this point it really hit us that we could lose Tom and we decided that we needed to find a monitor to assist the staff at Young Epilepsy and ourselves at home detect Tom’s seizures at night (Tom has a majority of nocturnal seizures) and when we discovered there wasn’t a seizure monitor on the market that could meet Tom’s needs Adrian decided that he would use his background knowledge as an electrical engineer to design a monitor himself. We found out through a previous EEG that a common denominator during all of Tom’s seizures was a rapid increase to his heart rate, so Adrian decided to focus on this and find a way that he could alert us to Tom’s heart rate changing. For 2 years we used Tom’s monitor at home and at Young Epilepsy and with the video footage recorded at home alongside his monitor we discovered that we had managed to capture 100% of his seizures. We then started getting friends of children with epilepsy contacting us and asking for a copy of Tom’s monitor and at that point we decided to setup our family business and launch Tom’s monitor as PulseGuard. 7 years on and I couldn’t live without PulseGuard, not just for the fact that it detects and records Tom’s seizures, but more for the fact that if he was to suffocate, choke or stop breathing during the night I would know within seconds and could do everything in my power to save him. Tom completed 4 years at Young Epilepsy School. He then went on to complete one and a half years at their college but during his second year it became apparent that college life wasn’t for Tom. Whilst he enjoyed the residential side of college he struggled to engage with their teaching methods and instead decided that setting off the fire alarms was more fun! When asked why he set off the fire alarms his answer was that he liked to see what happened and at that point we decided it was time for Tom to move back home and explore the best route of care for adulthood. Tom is now 25 and has been living happily at home for 4 years. He still has 1-2 seizures most nights and his behaviour can still be challenging at times. He comes under Continuing Health Care and has a care package that allows him to have 2 carers a day 5 days a week and respite care once a month. We have divised his own daily time table which keeps Tom very active mentally and physically. Physical exercise is important as he has a mild scholiosis so it is important to keep his back as strong as is possible. But we have also discovered that due to the exercise Tom does, his heart is strong too, which is also really important. Tom has enriched our lives more than we could ever have imagined with his wicked sense of humour and energetic disco moves. 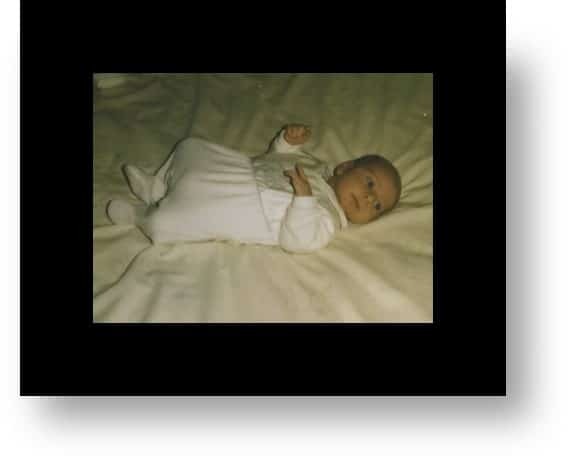 And whilst he is now an adult, he still has some of the best features of a child like believing in the magic of Christmas and loving a cuddle with his Mum whilst watching a movie. 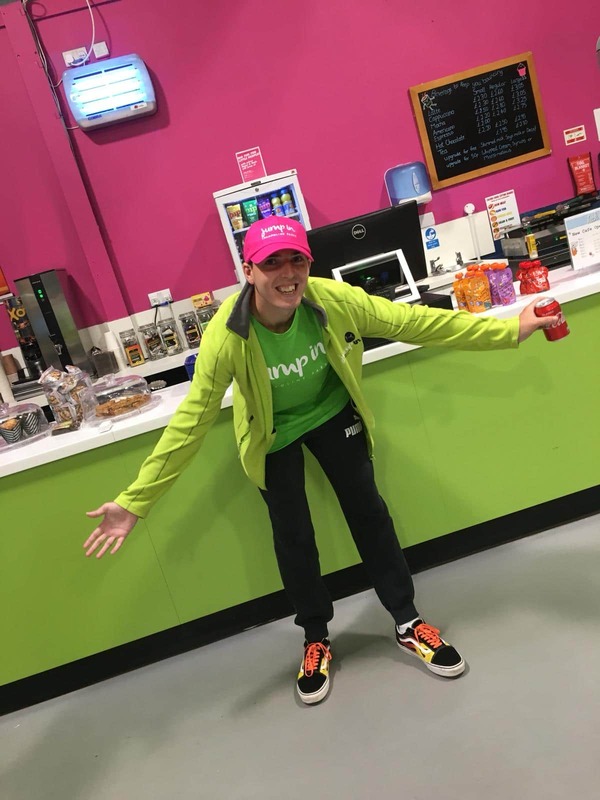 Tom also continues to inspire other Dravet families who are going through a tough time with constant hospital admissions and relentless seizures by showing them that Dravet isn’t always a bleak diagnosis and there is hope for a full and fun life in the future.